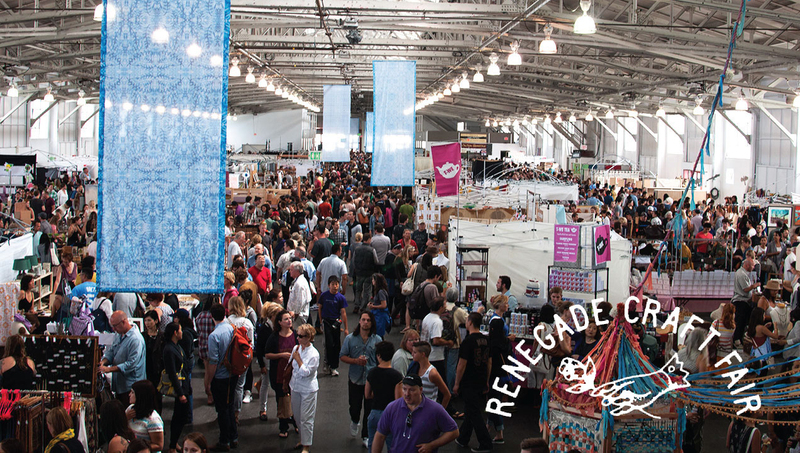 Last weekend I was lucky enough to attend the “Renegade Craft” fair. The organization hosts fairs across America and in London, presenting a “curated gathering of the designers, makers, doers, and dreamers that define today’s craft and design communities.” The basic principles are the same as any craft fair, but there is a layer of deliberate curation of the exhibitors that means that every time you visit one, you get to experience something new and special. This was my third Renegade Craft fair; I find that seeing the work of local makers gives me ideas for my own crafty projects while also re-affirming my excitement about design, but if I’m being entirely honest, I think that my favorite thing about these events is actually the food and drink. There are usually a few different vendors offering samples scattered around the space, but in keeping with the craft and design focus of the event, you don’t just get handed a drink, you get an experience. One of my favorite examples of this was when Sipsmith Gin had a special interactive cocktail bar built at the back of the event. The bartenders would give you the base for a drink, a shot of Sipsmith and a flavored tonic, and then pass it over to you to add garnishes, flavorings and decorations. They even came with Instagram ready name-tags for you to title your creations as well as turn tables for you to make boomerang videos on. 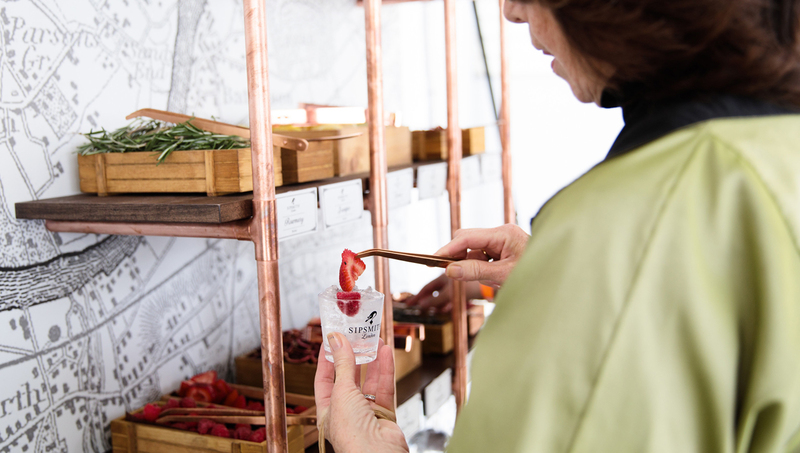 Sipsmith could easily have just offered up a tray of free samples and been done with it, but instead they chose to design their approach to suit the specific demographic that they were reaching out to. Crafty, creative people who enjoy making things as much as they enjoy consuming them. It was a great example of brand outreach that went beyond throwing money into advertising. The bourbon company, Maker’s Mark were also present, and they weren’t about to be upstaged. While the free bourbon cocktails that they were handing out were made exclusively by their staff, they still found a crafty angle to play with the fair-goers. The company had made their own brand of candle-jars as free gifts in conjunction with a local crafter, but everyone who got one had to finish it off themselves with the company’s distinctive wax seal at a dipping station. Both of these companies went out of their way to directly interact with their audience in a carefully designed way, and the response to both stands was overwhelmingly positive. 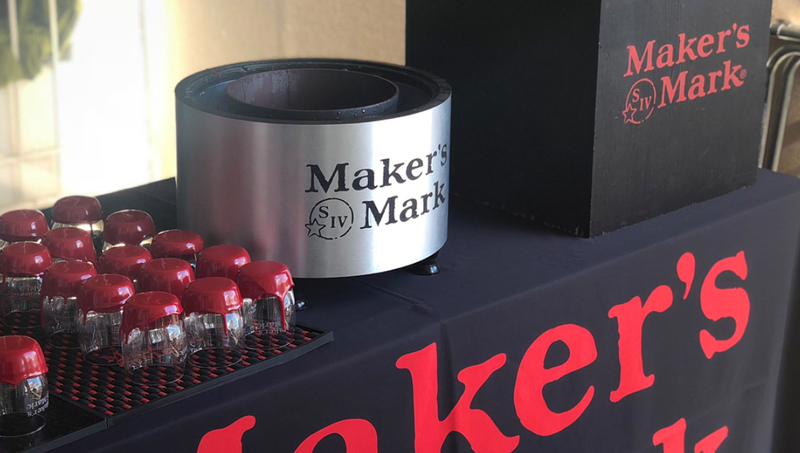 Serving us all free liquor definitely helped make visitors a little more pliable, but as the social media surrounding the event showed, it was the experience that sold people on the brands. For many people, drinking alcohol isn’t just about consuming the product, it is about the experience. Otherwise bars would be out of business and we’d all just sit at home drinking box-wine. For a brand that is trying to make inroads with a new market segment of customers with a specific interest like those that attend the Renegade fairs, it makes perfect sense to give people a sample of the experience alongside the drink. A systems thinker with a passion for untangling complex everyday problems, Polly is a designer with professional experience in enterprise software and an educational background in service design. She’s curious to explore the interconnection between the on and offline world, where virtual touchpoints can foster trust and augment real world relationships across different industries and domains. Outside the office, she’s either watercolor painting various plants around San Francisco or trying to make a new flavor of hummus in her beloved Nutribullet blender.